This is an interesting podcast episode about authenticity on camera. With so many more people going Live these days on Facebook and other platforms, it opens up a new set of challenges. 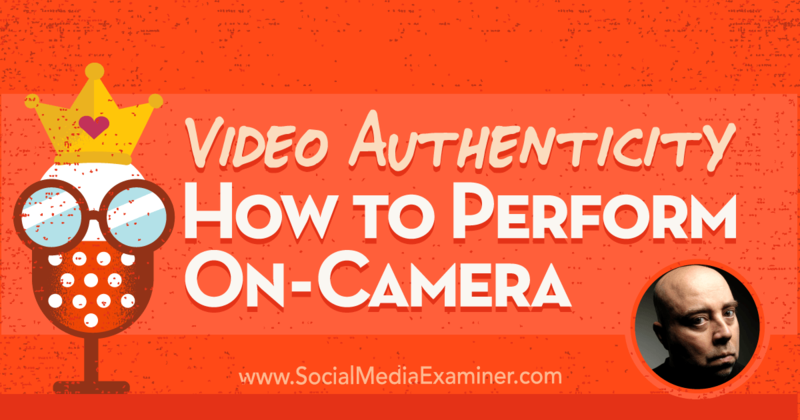 The energy level required for live video is much higher than say a podcast or other medium. If you've presented in front of live audiences you know what I mean: you can be exhausted afterward. I've presented thousands of times from small audience up to a few thousand people. The larger the audience and the further “away” from you they are such as on the other end of a live stream, the more energy you need to put in. This episode provides some great tips on dealing with these challenges. 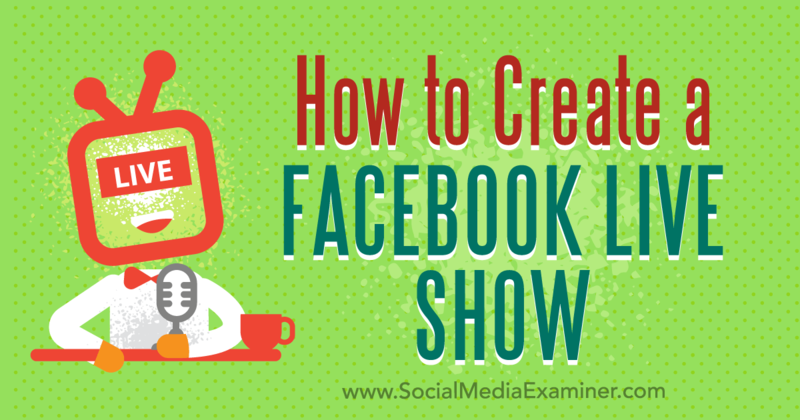 Want to broadcast a regular live show on Facebook with a co-host? Wondering how to plan all of the logistics for your show? Great article on how to plan and launch a live show on Facebook Live. There is a huge difference between consistently going live with ad-hoc content versus a planned, professional live show. This article covers each phase from planning, to promotion, to delivery. You can browse and read all the blogging tips on the ShoutMeLoud, but they will be meaningless unless you take action. For your blog to be successful, you have to brutally channel your efforts on the things that matter most for your blog growth, and stop squandering time on trivial things. This is a decent list of tactics to grow your blog audience. I'm about to embark on documenting and implementing a number of content promotion tactics in the coming weeks, several from this list. No matter how good your content is, if you are not actively promoting it, your audience will be reading someone else's content that is. This is a short list post on tools that can help you write and edit content more efficiently. I covered several of these such as Grammarly and Hemingway App in Episode 22 of the StrongStart podcast about blog post editing. There are some others in this list that I hadn't heard of before so definitely worth checking out. 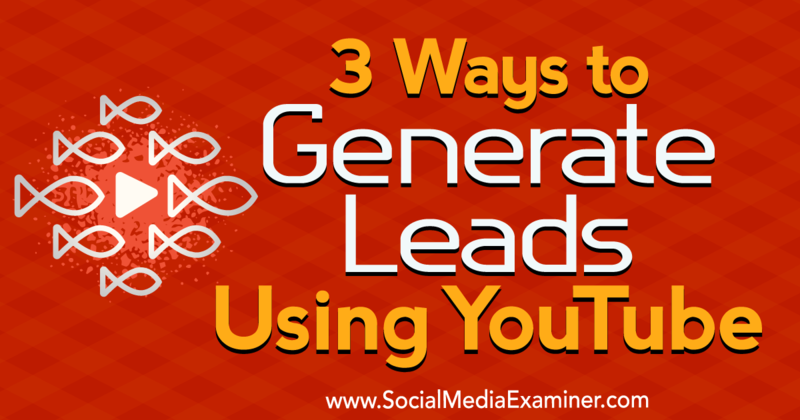 This article covers three important ways to use your YouTube channel to generate leads. The topics are YouTube cards, end screens, and search. These are the paths from YouTube back to content or landing pages you want to promote. You can create these natively in YouTube or through other tools such as TubeBuddy. A little over a year ago, Google teased using natural language to get data from Google Analytics just by asking. That “asking a question” functionality has now arrived in Google Analytics and Google Analytics 360 globally. A glimpse of the future in this article. THe massive investment in analytics, voice, and artificial intelligence is starting to product some interesting use cases. In this example, you can basically ask Google Analytis questions verbally like “who's sending the most traffic to my site” That takes three seconds to say as compared to logging in, clicking around, and loading reports. This is the tip of the iceberg for this type of technology. Look at the growth rate in the number of Alexa skills for Amazon's echo devices…. I don’t think I took what is the normal path to starting an agency. Six years ago I was pretty happy managing a small computer shop. I had zero children. I was training to run a half marathon. Life was generally pretty good. Fast forward six months forward and I was on unemployment insurance, had a newborn, and a knee that was incredibly angry with my behavior. Going the digital product or online course route isn't always the best path for freelancers. Sometimes moving to an agency model can be both fincancially and personally rewarding. This was an interesting take on the latter, and how it can be done without a large budget or outside investment. Twitter ads are easy. You’ve got promoted accounts, promoted tweets, and that’s about it. LinkedIn ads are also easy. You only need to follow our guide. Great step-by-step guide on Facebook Business Manager and how to get your ad accounts and everything related to Facebook ads setup. There are dozens of screenshots in this post as well. 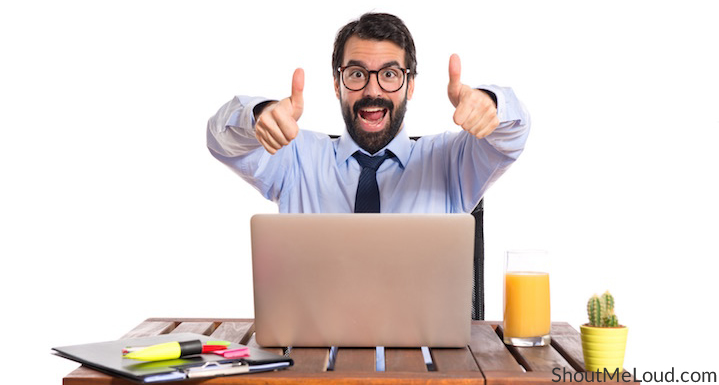 This post is pretty close to matching an entry level Facebook ads course!